1 A dancer performs on a tree in temperatures below minus 37 degrees Celsius (minus 34.6 degrees Fahrenheit) in Mohe, Heilongjiang province, China. 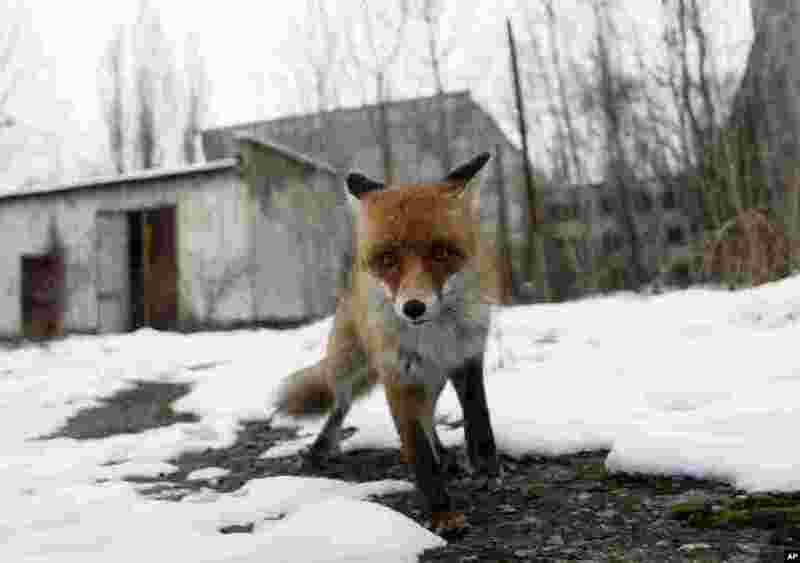 2 A fox roams in the deserted town of Pripyat, some 3 kilometers (1.86 miles) from the Chernobyl nuclear plant in Ukraine. 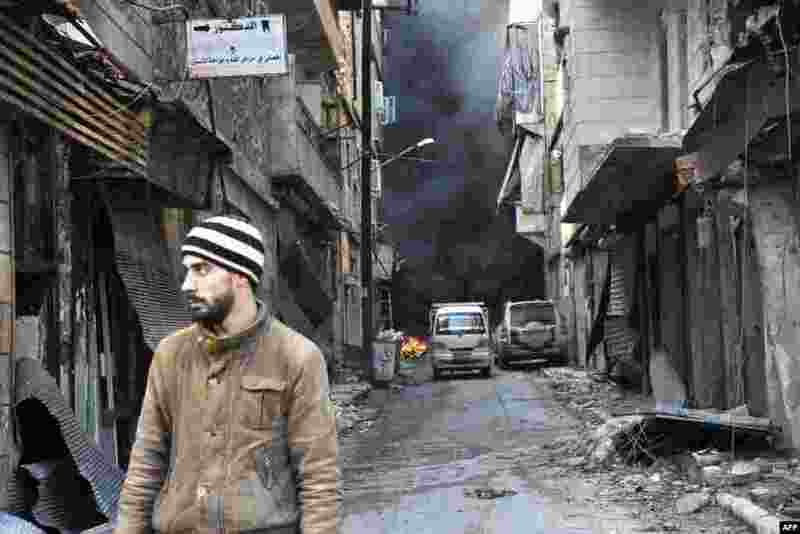 3 A Syrian man walks through the former rebel-held Salaheddin district in the northern Syrian city of Aleppo. 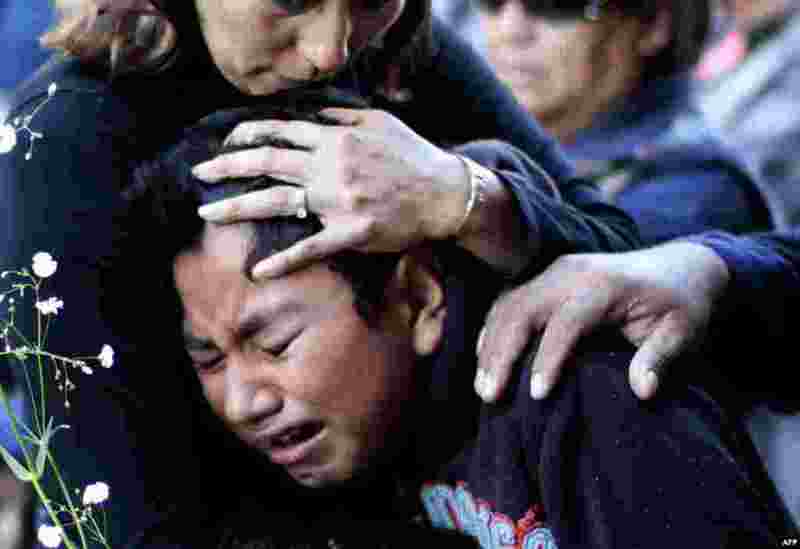 4 People cry during a mass for the victims of the fireworks market explosion in Tultepec, Mexico state.